Trim back brush and remove any dead or dying trees, plants and grasses, yard clippings, and any flammable items in a 100-foot-radius. Prune existing native vegetation to 6 inches above the ground. 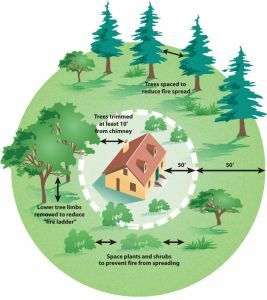 Cut low-hanging tree branches up to 6 feet off the ground and within 10 feet of touching a building, chimney or power line. Low branches may carry a ground fire upwards into the trees. Reduce plants alongside the driveway by at least 10 feet on each side. Trim overhead branches to allow at least 13-1/2 feet of vertical clearance within the driveway for emergency and escape vehicle clearance. 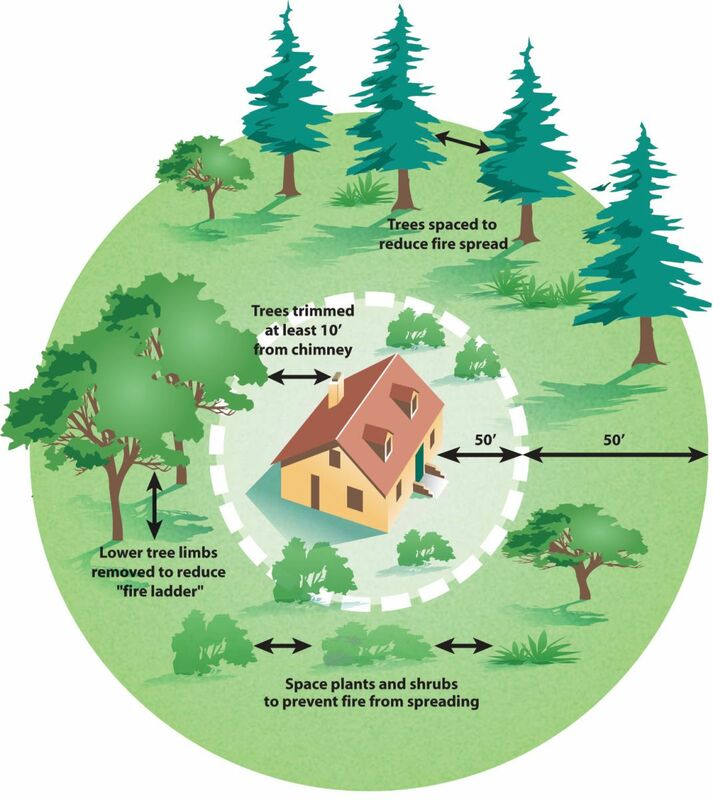 For more information on defensible space please feel free to contact the Bonita-Sunnyside Fire Marshall at 619-479-2346.